When you run a limited company, you are required to pay UK corporation tax on any profits and gains. We will calculate your corporation tax liability and submit corporation tax returns on your behalf. You can also rest assured that we will keep abreast of any changes to UK tax legislation, including those that make it beneficial for sole traders to incorporate their businesses. We will advise you on the advantages and disadvantages of incorporation, including the Companies House requirements and deadlines. This will ensure you are compliant and don’t get fined for missed deadlines. 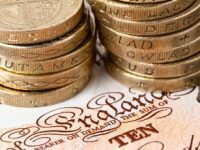 There are many allowances and reliefs available to you through tax legislation and we can offer advice on which ones are relevant to you and your business. Find out more about the various tax strategies available through Sleigh & Story by talking to one of our friendly staff.